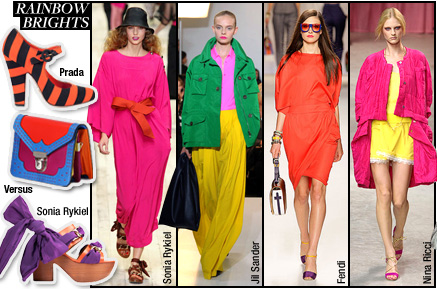 Everyone is calling bright colors as one of spring’s hottest trends. Brights are a natural fit for spring, but after the recession these colors are a refreshing and welcome change from the subdued, classic and neutral trends we’ve seen the last few seasons. 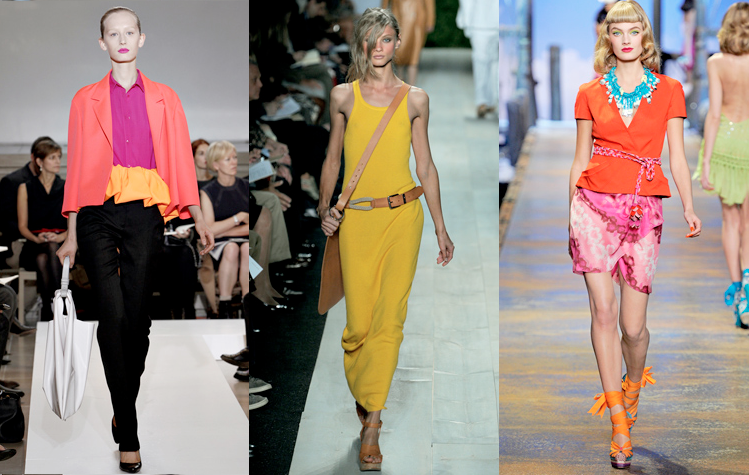 Bright colors means the fashion world is feeling buoyant and hopefully reflects a more confident and optimistic public mood. If not, wearing some of the season’s hottest shades — green and coral in particular — might bring your spirits up, anyway.